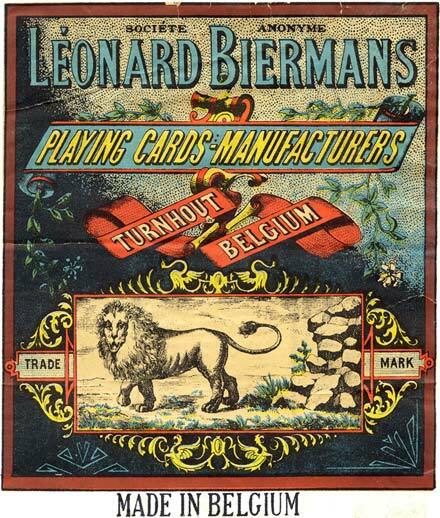 Léonard Biermans had been employed by Brepols from 1871-1874 before opening his own steam-powered playing card factory in 1875. 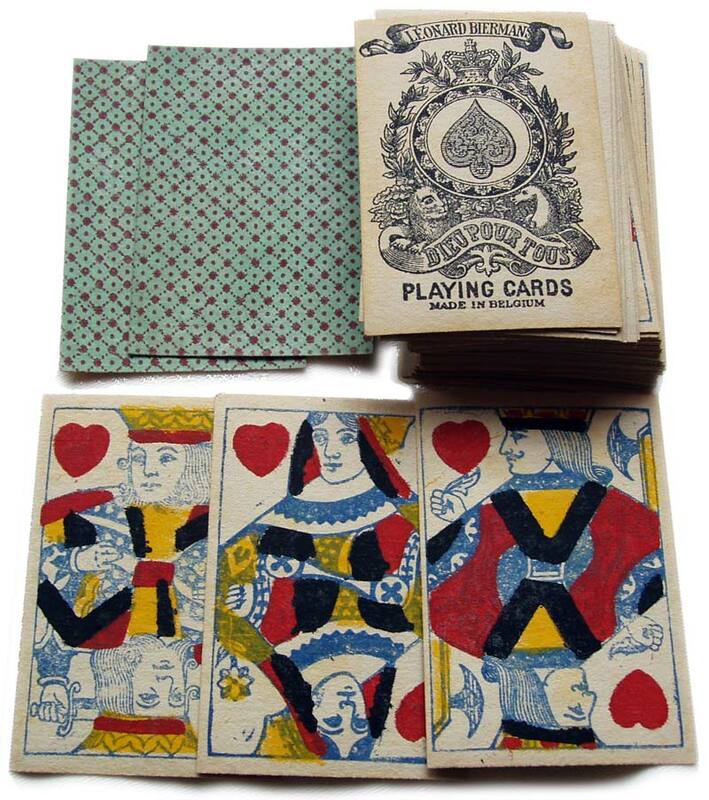 In 1879 he married Marie-Thérèse, daughter of Van Genechten’s manager, Charles Poupaert, so playing cards were never far from his attention. Léonard Biermans died in 1896 and the company continued as a limited company, S.A. Léonard Biermans. Biermans initially built up trade with India and South-East Asia (Burma) and business prospered until the competition became fierce and India became independent. After that Biermans expanded into other markets, winning several exhibition medals and also registering a patent for rounded and gilded corners. Eventually the firm was merged into Carta Mundi. The Lion (right) was one of Biermans’ many trade marks. 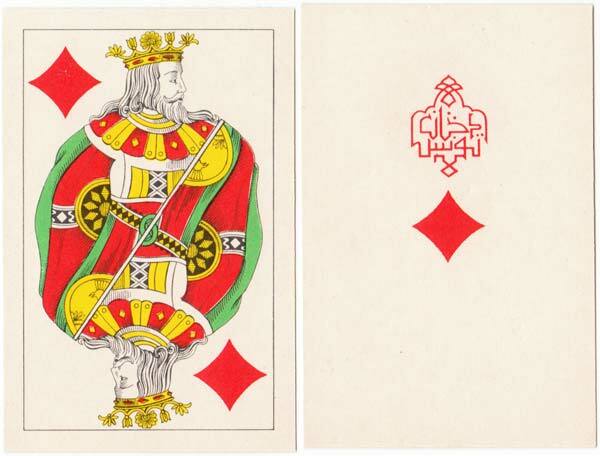 Above: double-ended English pattern playing cards with ace of spades mimicking the Old Frizzle duty Ace, crude quality stencilling on rough card, produced by Biermans, c.1910. 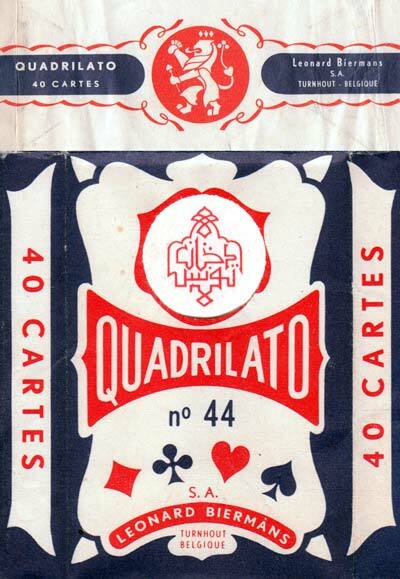 Above: “Quadrilato No.44” Genoese style playing cards manufactured by Leonard Biermans S.A. for Tunisia, c.1970. 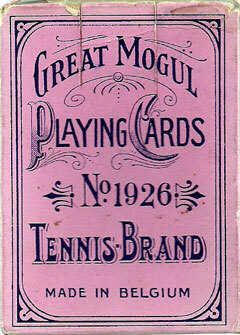 Above: Great Mogul Tennis No.1926 playing cards, c.1926. This is a very odd deck in that some of the backs are green, some pink and some blue. 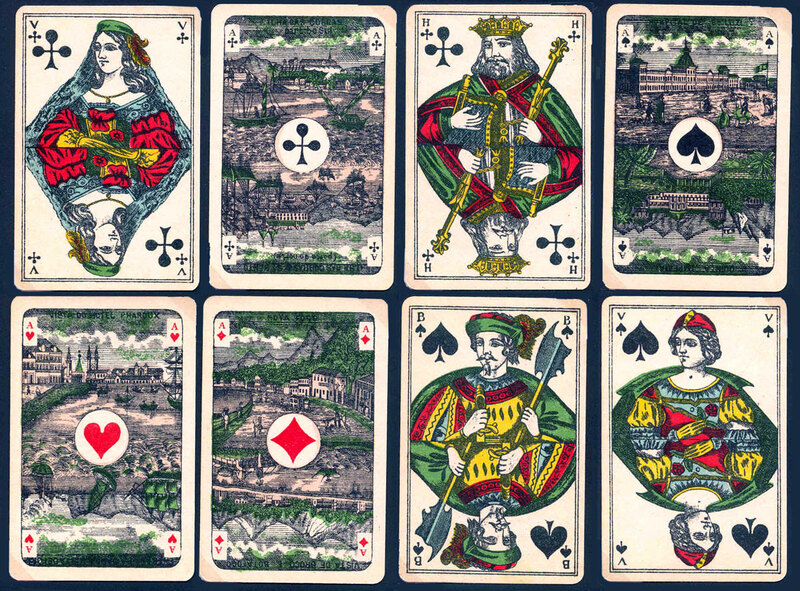 It has been conjectured that the deck is a salesman’s sample deck, used to exhibit the variety of back colours available. 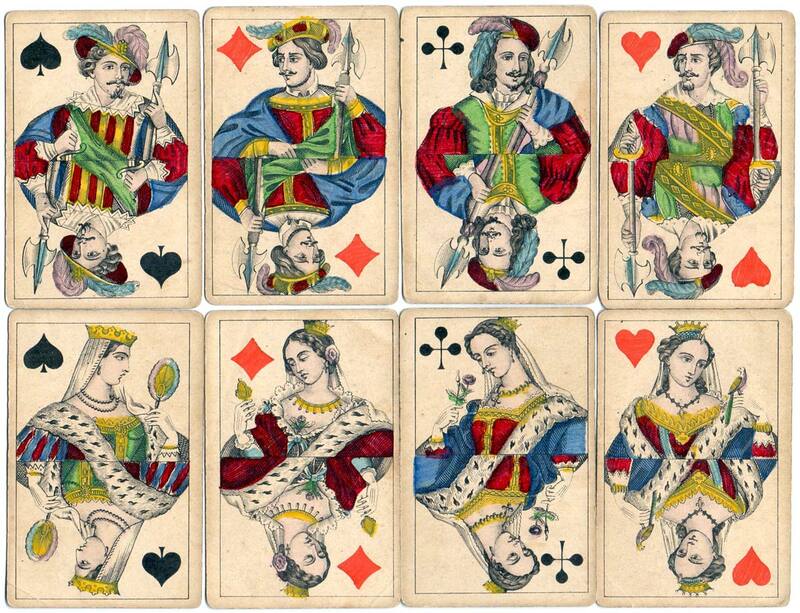 It is strange, however, that whenever I have seen the deck for sale, it is always described as having the same variety of coloured backs. 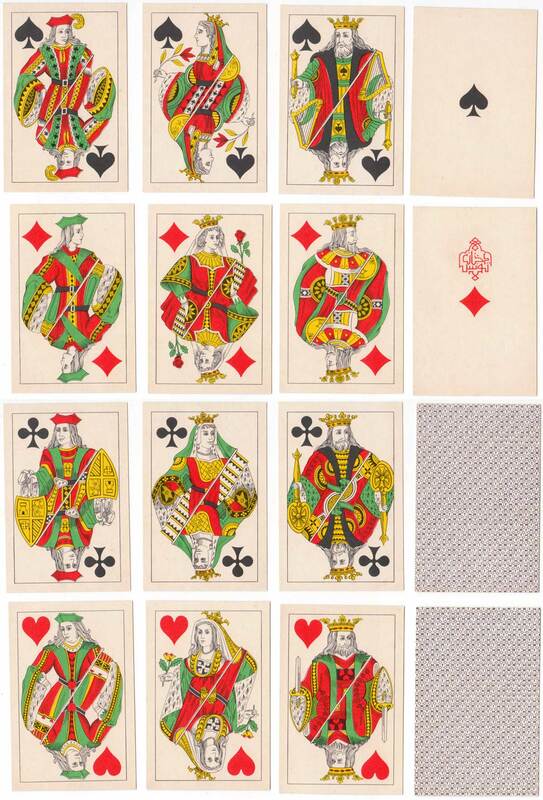 I have never found the deck with just one colour backs, always the sample version. 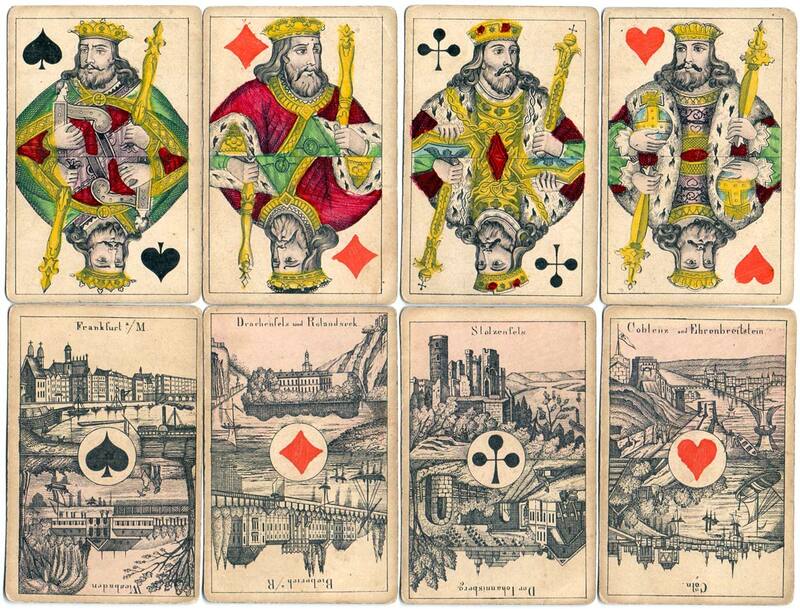 The brand has the number 1926 which, coincidentally, is the year of the deck. The side of the box discloses that the maker is Leonard Biermans, Turnout, Belgium. Images and notes courtesy Rod Starling.